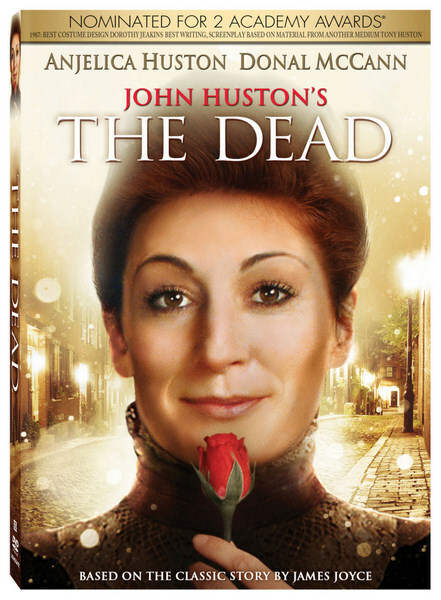 Lionsgate proudly presents the long overdue DVD premiere of the highly acclaimed film, The Dead. Directed by two-time Academy Award® winner John Huston (Best Director and Best Writing, Screenplay, The Treasure of the Sierra Madre, 1948), The Dead “couldn't be more perfect” (The Washington Post). Starring Huston’s daughter, Academy Award® winner Anjelica Huston (Best Actress in a Supporting Role, Prizzi’s Honor, 1985) and written by his son, Tony Huston, this was the last film of John Huston’s celebrated career. The film was adapted from “The Dubliners,” one of the greatest pieces of literature by James Joyce, his favorite author. Nominated for two Academy Awards® (Best Costume Design and Best Adapted Screenplay), The Dead is a classic piece of cinema that belongs in every film lover’s collection. In this adaptation of Joyce’s short story, which takes place at an annual New Year’s Eve party in Dublin in 1904, Gretta Conroy (Huston), after hearing an old and sad ballad sung by one of the guests, confesses to her husband Gabriel (Donal McCann, Illuminata), of a long ago love affair she still remembers. This revelation causes Gabriel to question matters of life and death...and moves him to lament the lack of such passion in his own life.